Element Ratio Analysis (ERA) is a simple technique that is rigorously consistent with the complex laws of thermodynamics that control mineral transformations in rock. It can investigate and quantify all kinds of rock forming and rock alteration processes, including hydrothermal alteration, metamorphism, and igneous fractionation. ERA has been grossly under-utilized because of the perception that it is difficult to use. 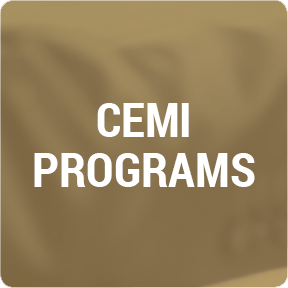 CEMI is supporting the development efforts of Dr. Tony Beswick of Laurentian University and Dr. Cliff Stanley at Acadia University to make it easier to use and understand. The real value of ERA will come from combining it with modern geospatial analyses. The application of ERA to the noritic rocks that host nickel ore in the Sudbury Igneous Complex reveals that only two of the essential minerals in the norite underwent crystal sorting. This suggests that these rocks were created by endogenic igneous processes, making it unlikely that the coppernickel ore-bodies are derived from a single melt sheet generated by an exogenic impact event. The genesis of the Sudbury Basin is very complex, but the further development of ERA techniques offers a new approach to understand the genesis, nature, and distribution of valuable sulphide ore-bodies. In particular, applying a combination of geospatial and ERA analyses to Sudbury data might make it possible to vector in more of the high-value, PGM-rich copper vein deposits that display enigmatic relationships with the more common massive nickel ore-bodies.